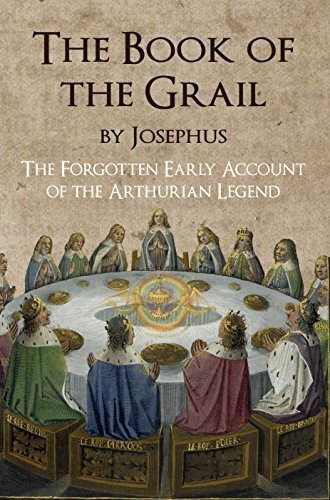 The straight narrative here is a deep pleasure for this writer, uncorrupted as it is by nineteenth century romanticism and the ongoing twentieth century Disneyfication of the egregiously plumped-out legend of King Arthur and the Round Table. Our human condition hard-wires us physiologically and psychologically to search for story. Story is the way we make sense of our complex worlds. We inherit, build on and invent narratives that give form to the chaos that is human experience. When I say story I don’t mean stories written down as text-to-be read out loud and handed down, I means told stories which, through millennia, build themselves into our so deeply into our DNA - not just the brain but in the flesh. It sits there for us to dig into intuitively for an explanation, a rationalisation for the strongest and strangest of human experiences – love, hate, death, murder, revenge, lust, passion, poetic delight. We call on this intuitive understanding of story to find an appropriate explanation to the palimpsest of our own unique experience. This ‘hard wiring’ explains why some us experience flashes of past and future events, apparently shared, by others in the past and the future. The people's own oral narrative tells a different story. However, even in this intriguing volume we only have half of the grand history. The first half, (which must be buried in some archive) is missing. In this narrative we have to take for granted what we have been brainwashed with: the grandiose Victorianised version of the kingdom of Arthur and his round table of perfect gentle knights. 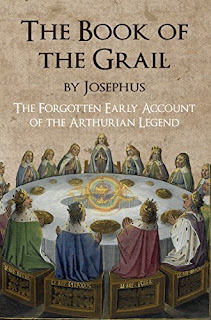 Josephus’s fascinating original narrative takes up the story half way through, presenting the interweaving narratives of the knights Percival, Gawain, and Lancelot with the shadow of a broken Arthur behind them. Arthur really only emerges towards the end, revivified by the heroic exploits of his three top knights. As I thought about this I got a quick flash of a 1960S Western where the heroes and the villains leave their guns on the bar. Then I got a flash of secondary school children leaving their phones on the teacher’s desk as they enter the classroom. As well as disarming and dressing the knights the damsels carry precious symbols like a golden circlet and the graal, They also have their own personal quests. In the case of one damsel this is to carry round the heads of slain nights to mark the victory in battle. This cult of the head is everywhere – carried around to identify and sometimes honour the dead, displayed as an offering to a leader or stuck on posts at the gates of a castle to claim victory. ( A Custom which lasted down to the late Middle Ages in Europe. 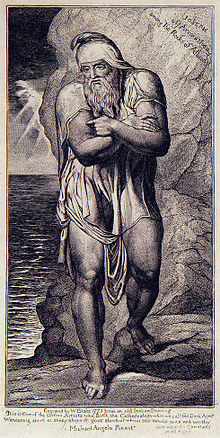 is the sword that struck off the head of John the Baptist and brought to the British shore by Joseph of Aramathea. 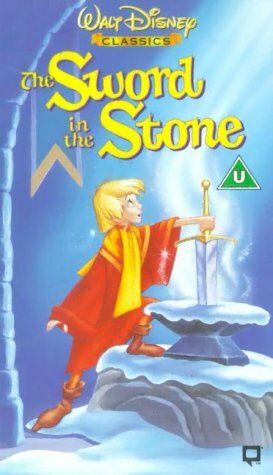 The story has it that this same sword was stuck in a stone column in a chapel (not a rock) waiting to be pulled out by an honourable knight. This cult of the head struck a chord of recognition with me. Although this volume was not part of my research for my novel The Pathfinder, in that novel the hall of a powerful northern chieftain (dreamed up by me) is lined by the skulls generations of defeated enemies and honoured ancestors. He too lives in dense forested land, as does the chieftain father of my heroine Helen, who lives deep in the forests of West Britain in the land we now call Wales. As the knights go hither and thither on their various quests they encounter hermits in chapels where they say mass when they return from, or set out on their journeys. Masses mark the passing of time for these itinerant knights. So here is a perfect narrative surely handed down in the Celtic oral fashion and written down hundreds of years later in 1200AD- praising the role of honour in society, knitting together various actual events, distilling the actions of symbolic heroes and villains inhabiting a world on the edge of chaos. It welds together the ancient spirituality with the dawning dominance of Christ worship, making some kind of order through claims and counterclaims, evolving rules of courtesy and precedent, embodied in the person of the gentle perfect knight who is trusted because of his natural valour and virtue. This is a much more graceful and charged account of those days, coming down as it does through oral accounts. It is so much purer than the later romanticised, over-decorated Victorian renderings such as Morte d’Arthur, which lean on it Victorian context rather than its true Celtic origins. Interestingly, missing in this narrative are such familiar embellishments as dragons. (There are real lions here,, not dragons. The only dragon is on the shield of a West Briton Knight). And missing also is betrayal of Arthur by Lancelot’s and Guinevere. Also missing is the concrete existence of Camelot except by naming. Then the castles here are not be-ribboned edifices; they have little resemblance to the Hollywood Camelots. I have the impression of those great wooden stockades more familiar to us from the American Western. 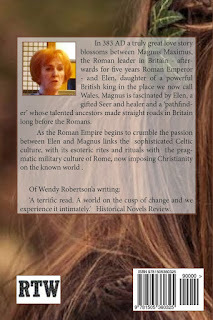 I loved reading this book because its reflection of Celtic and post-Celtic culture has a ring of truth for me. And I loved reading it because it made me realise that in writing The Pathfinder I had quite intuitively rung the bell of my own narrative truth, as clear as one of Arthur’s chapel bells.